Sabrina Mashburn knew she wanted to marry Shawn Wayt even in the earliest days of their relationship. She would ask him when he was going to marry her, and he would get a kick out of teasing that it wouldn't be for another six years. The Seattle-based couple has to laugh now though, because it actually did take them six years to make it to the altar. 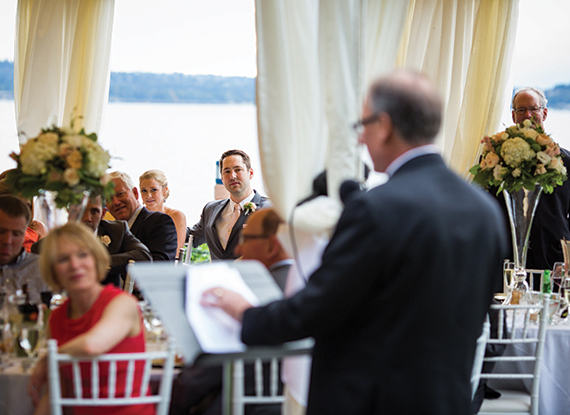 The Wayts wed in a traditional Catholic church ceremony near The Woodmark last summer and joined us afterward for an enchanting lakefront celebration. 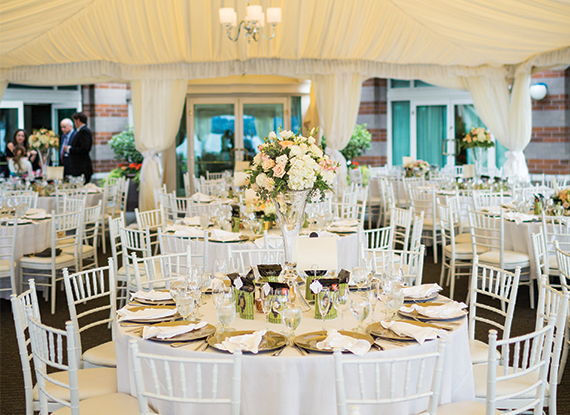 The reception was held in the Olympic Terrace Tent on the only overcast day of the season, making for some unexpectedly beautiful wedding photos. 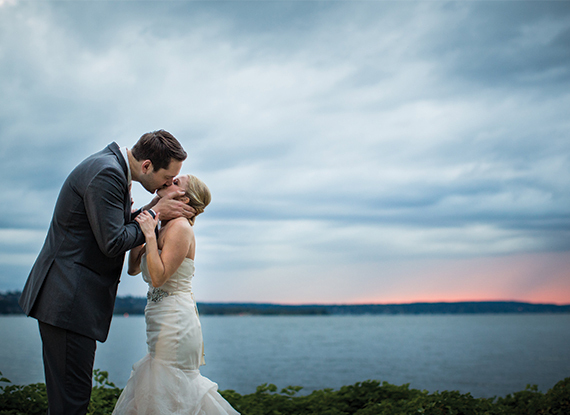 And fortunately, rain on your wedding day is said to bring good luck! The newlyweds danced their way into the evening, choosing not to stop for a bouquet or garter toss because they were having so much fun on the dancefloor. 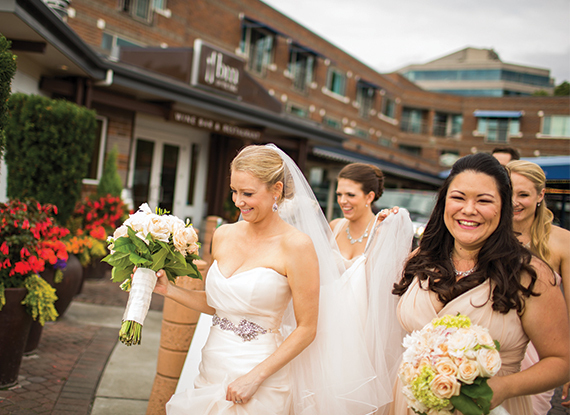 The bridesmaids, dressed in blush, joined the couple along with groomsmen in grey – although it would have been navy had the tuxes been available to rent at this time last year. 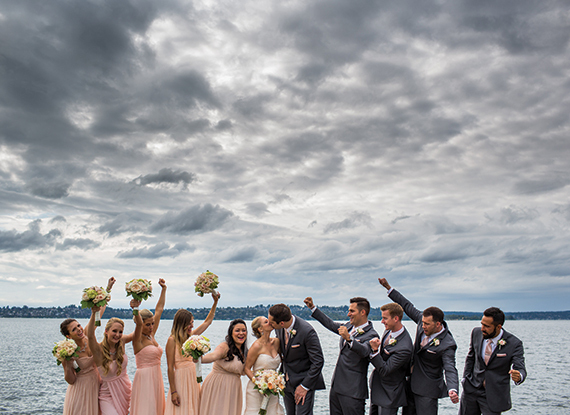 To celebrate their one-year wedding anniversary, the Wayts will be returning to The Woodmark for a boat cruise on Lake Washington. 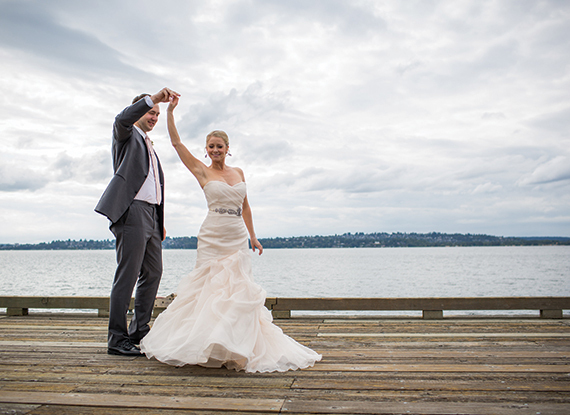 Read more about wedding season on Lake Washington here.